There are a ton of new releases this week. Probably half of which are lesser known projects released in the ‘name your price’ format. So it’s a perfect time to branch out and find some new music to complement your summer. I’ll be separating these releases into two categories: the first will be the usual dark ambient releases, the second will be ‘On the Periphery’ releases which aren’t particularly dark ambient but I have deemed them to be of interest to dark ambient listeners. I’d love to hear your feedback on the latter, so I can get a gauge of how interesting these things are to This Is Darkness’ readers. As a friendly reminder, there is a Patreon account now for This Is Darkness and we could really use any support that our dedicated readers could offer. You can become a patron here. I hope everyone in the northern hemisphere is having a great summer, and those of you down south… I’m jealous! Check out the full album, available for pre-orders here. “Hex’d Complex to tell ‘Vhat’s Spinnin’ ‘Round My Head​.​.​.​So Here’s How It Sounds Instead” is the latest track by A Bleeding Star whom appears to be releasing weekly tracks at this point. “name your price” so give it a try! “Since the late 80s, Stefano Musso has recorded deep, evocative experimental ambient & electro-acoustic soundscapes under the name Alio Die. Reverse Alignment says about the project, “Since getting to know Chris Sigdell from a distance in 2010, sending the label a promo copy of The Great Disintegrator, and onwards recognising the release of his project b°tong ‎ through labels such as Attenuation Circuit, Greytone and Silken Tofu, we met up in the flesh in 2016. Since then the label invited him to master last years releases from Ajna, Valanx and Dronny Darko and now releases his project b°tong’s two new albums Monastic and The Long Journey. “Air Meditation” “In the Mountain valley you can feel the wind of southern sea… here, above the world all your thoughts are opened for memorizing previous lives, where you was someone else. You know the depts of disappointment, you’ve been in most crytical troubles. Imperivm Lvciferi is the debut release by this mysterious dark/drone ambient project which could be most closely compared to the 90s project, Neptune Towers. It’s quite an interesting album, find out more about it on my review here. Deer Traps is a nice blend of meditative drones, neo-classical, and dark ambient. “Deprivation” is a nice blend of classical piano and dark ambient leaning experimental sounds. Its a truly interesting and unique track, released on Bandcamp as “name your price”, so give it a try! Disambiguation (sleepy dreamy nighty snoozy) is part of Rapoon’s performance at Avantgarde Festival Schiphorst from June of 2017. Despite the perhaps obvious nod and reference to some of Muslimgauze’s more atmospheric excursions this new work of Tusen Ar Under Jord holds a different character, like the one of a lone wandering explorer setting up his recording equipment a little wherever necessary. The grainy picture is still at hand but focus has turned to spiritual elevation instead of grey introspection. Tablas churn, smokescreens come and go, as the carpets are rolled out on the shifting sands. Total recommendation! In thick disco sleeve with contemporary packaging. 3 is thhe latest release on the attenuation circuit label. The sounds here are a bit experimental, but certainly dark and brooding. “name your price” on Bandcamp. “Droning 28948” is a three track single which delves into styles like drone/ambient/dark-ambient/americana just to name a few. There should definitely be some things to enjoy about this from fans of dark ambient, though I wouldn’t fully place it in that category. “name your price” so it can’t hurt to give it a try! This split is a nice combination of genres. There are obvious influences from dark ambient, dungeon synth, black metal & neo-classical featured on this album. The digital album is available now on their bandcamp site for only $1 and they will be selling any remaining CDs there as well, if they do not sell out on the Effluvium summer tour. Official Video for Baltimore synthpop/shoegaze trio THE HOLY CIRCLE. Directed by DANIELLE DAMICO. Buy the physical of their new album on Annihilvs Power Electronix here. Or you can preview and purchase the digital album here. You will find on this release a wide range of sounds like ambient/dark-ambient/chill-out/downtempo all of which make for a nice relaxing experience. Released as “name your price” is it’s a good time to get to know this label. “The community named “Tunguska Electronic Music Society” was created by several musicians and composers on the threshold of centenary of the Tunguska phenomenal catastrophe, in order to capture the public attention to such an extraordinary event. The APPARITIONS series of performances by M. Kardinal & Monocube has released two videos of their last performance here. Using analog equipment to produce audio and visual art which complement one another M. Kardinal & Monocube have created a very interesting and creative series of A/V experiences. Check back to this page often to see more of their work as it becomes available. There will be an upcoming performance @ Spektrum in Berlin on 07/07/17. Flowers For Bodysnatchers has taken part in the latest horror short from CryptTV. The Thing In The Apartment: Chapter II stars Ashlynn Yennie and Michael Marinaccio. Music is produced by Flowers For Bodysnatchers. Cinematography by Oliver Young. Produced by Jon Judelson. Special creature effects by Vincent Guastini. Written and directed by John William Ross. You can see the first chapter of this short here. Keep up to date on the latest happenings with APEX. They’ve recently started moving in high gear and have a lot of announcements for upcoming releases and live shows. Read the newsletter here. This is the first game review on This Is Darkness. 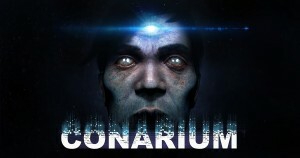 Conarium is available on PC, Xbox One and PS4. Conarium doesn’t rely so heavily on the Lovecraft lore that players unfamiliar with his work would feel lost. The developers did a good job of building relevant Lovecraft references into the story in a way that felt natural. However, as a huge fan of H.P. Lovecraft and having read just about every story he’s written or revised at this point, I found the more subtle references to his works really added to my enjoyment of and immersion in the game. With this in mind, I would highly recommend Conarium to any gamers that enjoy reasonably complicated puzzle games and have a true passion for the works of H.P. Lovecraft. There are enough adventure elements and varied locations to hold the interest of those of us whom grow bored reasonably quickly without constantly stimulating content. It really seems that Zoetrope took all their experience with their previous games and built upon it, bringing their work closer to perfection. Instead of diving into some unknown game style, a habit of many companies, which often leaves their inexperience obvious for all to see, and can ultimately destroy the immersion and render the game-play lacking in depth, cohesion and/or playability. I hope to see more similarly styled games from Zoetrope in the future. They are certainly on the right track. 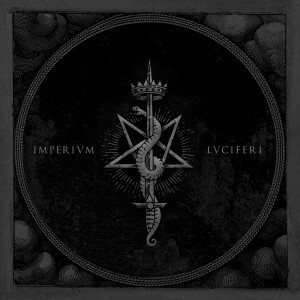 IMPERIVM LVCIFERI is, unsurprisingly, another brilliant success for Deivlforst Records. Yet one more solid piece of work to add to their already illustrious catalog of releases. In just a few years they have solidified their position at the forefront among dungeon synth labels and they seem to subtly underline continuously that they are not limited to this genre alone, but instead occasionally make side-steps to other genres, while picking only very interesting albums for these. With IMPERIVM LVCIFERI Deivlforst again continue to slowly expand outside the confines of dungeon synth. Their fan-base is likely to grow even further with this release. As the label continues progressing into another year of existence, divining what will come next proves ever more complicated, but definitely makes us eager to hear. Vladimír Hirsch is certainly a man of many hats. His musical interests and ventures are almost too many to count. Yet, when he sets his mind to focus strictly upon dark ambient, he proves to be one of the greats. Scripta Soli is able to stand confidently along side some of the most memorable albums of the genre. 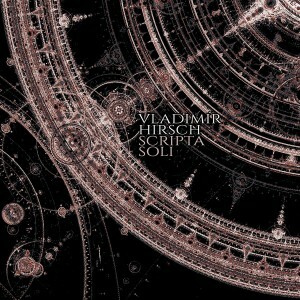 His array of techniques and styles make Scripta Soli an attractive release for those just discovering the genre as well as those whom followed it for decades. Any discerning fan of the genre certainly needs to experience this release, there should be very few fans to view this release in a negative light.